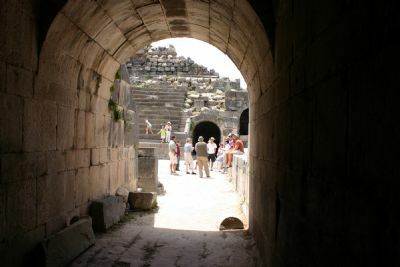 The West Theater is located on the western slope of the acropolis of Gadara—facing west. It is composed of black basalt stones and seated about 3,000 people. It has been excavated and partially reconstructed. It was probably constructed in the late first or early second century A.D.